Kitesurfing is a spectacular and colorful sport that is not complicated or dangerous if it is taught responsibly. Because of this, LineUP Barbados (Official NorthKiteboarding Center) offers only professional and experienced instructors to help you learn this exhilarating sport in a safe, easy and fun way. LineUP Barbados offers different type of courses for any level: from the basic Beginner Course, passing to Beginner Top and Advanced, ending with the Wave Course, for those who can already kite surf but want to improve his/her skills riding waves. 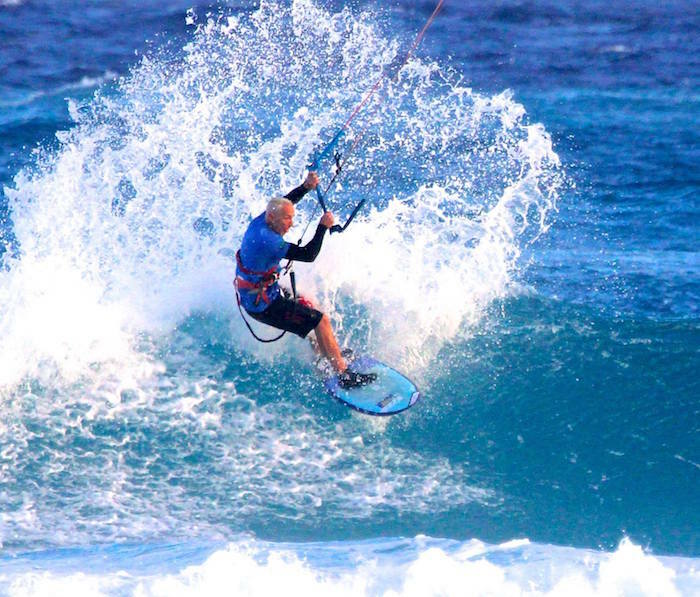 The “Beginner Course” is the first step to learn basic knowledge about kitesurfing. The course is technically focused on the equipment first, especially on the different safety systems; then on the management of the sail. Small kites (“Trainers”) are used at first, to give the student a first safe approach; only then will the large kites will be used. When the student is able to accomplish good control of the sail on the beach, he/she can start practicing in the water with the “Body Drag”: free body sailing in the sea, with no board. The last hours are for the first starts with the board and the first riding. If you are ready to try this incredible sport and this new amazing way to enjoy the ocean, LineUP Barbados is what you are looking for. LineUP is currently only operating in Barbados during the Winter Season, October to May.